Eleven short stories about anti-contact, non-offending MAPs. (taken from Past the Dark Field). 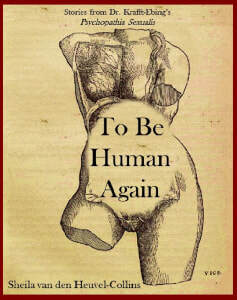 ​To Be Human Again can be purchased from Amazon, Kobo or Glad Day Books. In 1886, the German psychiatrist Dr. von Krafft-Ebing published a ground-breaking book of forensic case-studies of sexual deviancy, Psychopathia Sexualis. The premise was that not all sexual deviancy had a criminal aspect; mental health was a factor. This new scientific approach aided further research and eased social stigma, but it neglected the human aspect of the situations. The book, though somewhat edited, is still used by physicians and judges today. Here are six stories that explore the humans behind the cases. ​Holland and Jaime can be purchased from Kobo or Glad Day Books. 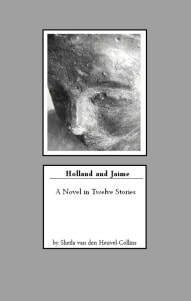 Holland and Jaime is a collection of twelve stories that follows the lives of two men from young adulthood to middle age. Each story is told from the perspective of a different character; the stories explore how relationships affect the individuals involved, and the individuals’ struggle with acceptance and understanding in modern society. Salmacis' Kiss (a 9 300-word short story) can be purchased for $1.00 CAD by filling out the form on the Contact page. E-mail transfer only.